At the heart of the issue is capitalism, a root cause of many of the crises we face today. Capitalism drives growth at all costs including exploitation of people and the planet. It drives competition and individualism instead of cooperation and community. It requires militarism as the strong arm for corporations to pillage other countries for their resources and militarized police to suppress dissent at home. …the capitalists’ wealth and power should be taken away from them (expropriated) by the self-organization of the working class and its allies. Capitalism should be replaced by a society which is decentralized and cooperative, producing for use rather than profit, democratically self-managed in the workplace and the community, and federated together from the local level to national and international levels. It is interesting that the Yellow Vest movement in France is also seeking transformative change from a representative government to one that uses greater participation through direct democracy. System change is needed to confront these economic and environmental crises. 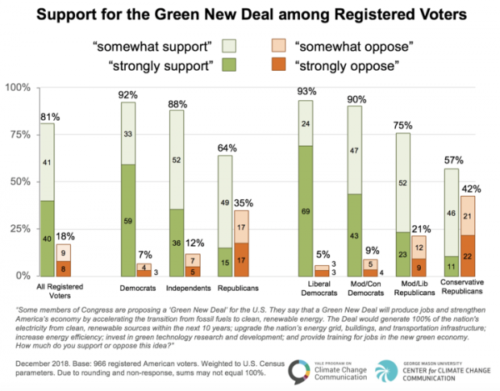 One alternative system gaining traction is ecosocialism which combines the insights of ecology with the necessity for worker’s rights and public control over the economy. 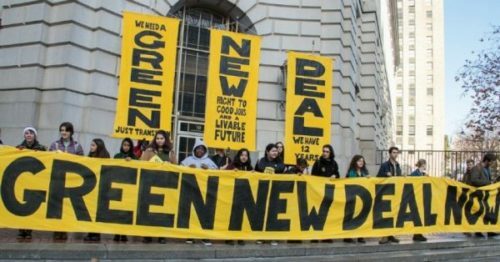 We discussed ecosocialism with Victor Wallis, author of Red Green Revolution: The politics and technology of ecosocialism, on Clearing the FOG. 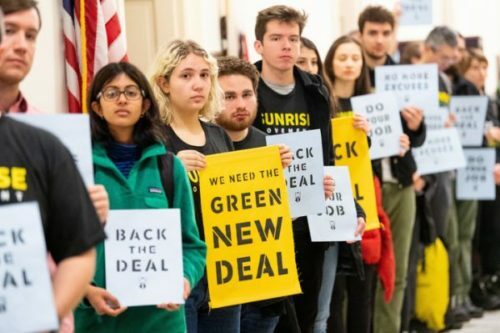 This article was posted on Wednesday, January 16th, 2019 at 1:45am and is filed under Activism, Climate Justice, Democrats, Green New Deal, Peace Activism, Social Movements.